You're not alone. Like you and many others, I felt that way too for a long time and for good reasons. Life can be tricky, but when you understand how to set yourself up for breakthrough instead of just waiting for a breakthrough to happen, life becomes easier and more satisfying. If you'd appreciate help with making changes that LAST I'm holding a NO COST online seminar and YOU are invited to join us. I will share the strategies you need to help you get past the roadblocks and make the changes you long to see. Simply enter your name and email to receive access to the LIVE online seminar and replay. 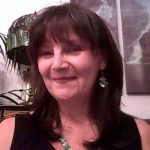 I will share practical strategies and tools - plus the wisdom to know how to apply them! If you're struggling to make changes, then you NEED to join us! Monday 4th February 2019 8pm UK, 3pm ETIf the time doesn't work for you register anyway and I'll be sure to send you a link to the replay! 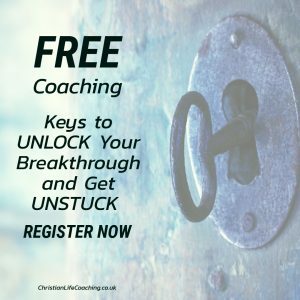 Lynne is a Christian Life Coach and Life Breakthrough Coach Trainer, she has helped thousands of people to discover their calling and walk closer with God. 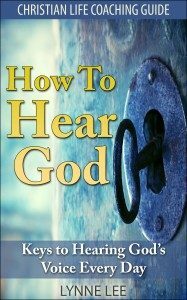 She is the author of How To Hear God and multiple coaching programs and coaching guides. Amongst other things, her calling is to train Christians to coach themselves and other people to breakthrough from a Christian perspective and help them to get the word out so they can help more people to breakthrough and live life as God intended. P.S. Don't miss this free seminar!!! Register NOW! Everyone who pre-registers will receive access to the replay. This includes those who can't attend the live event.